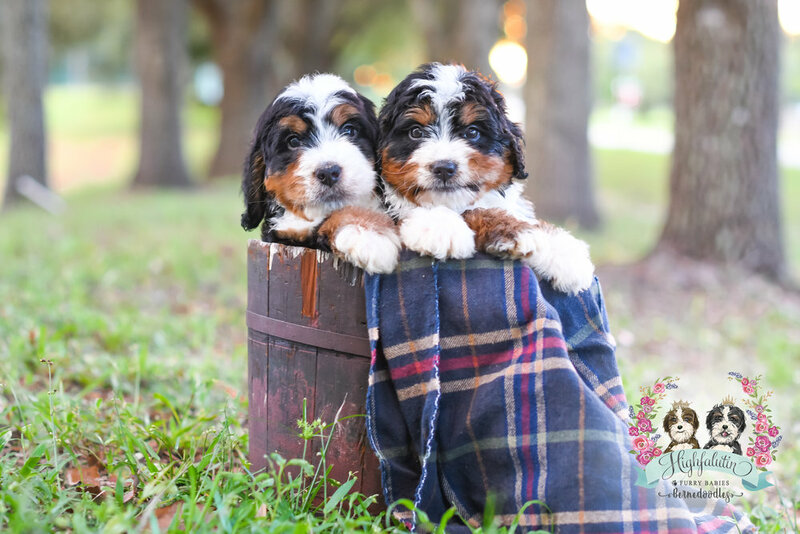 We specialize in raising beautiful bernedoodle puppies from only the very best breeding lines which make ideal pets, therapy dogs and service dogs. 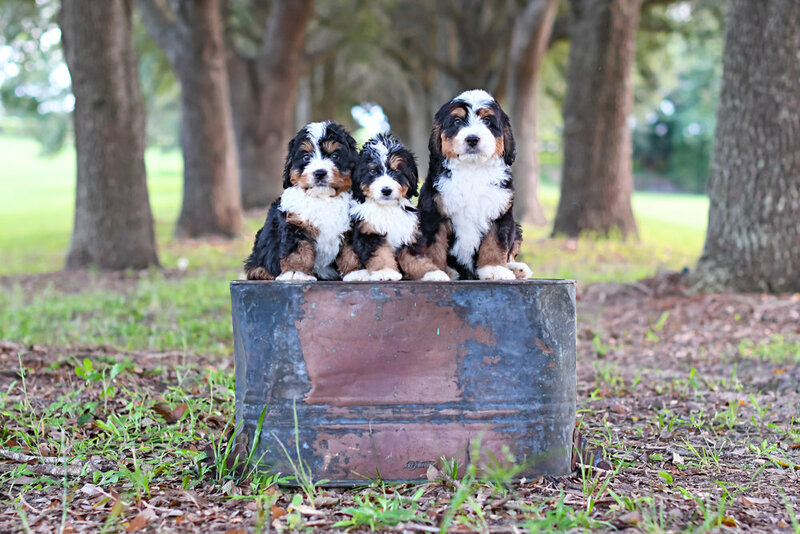 What makes our Bernedoodles better than other breeders. 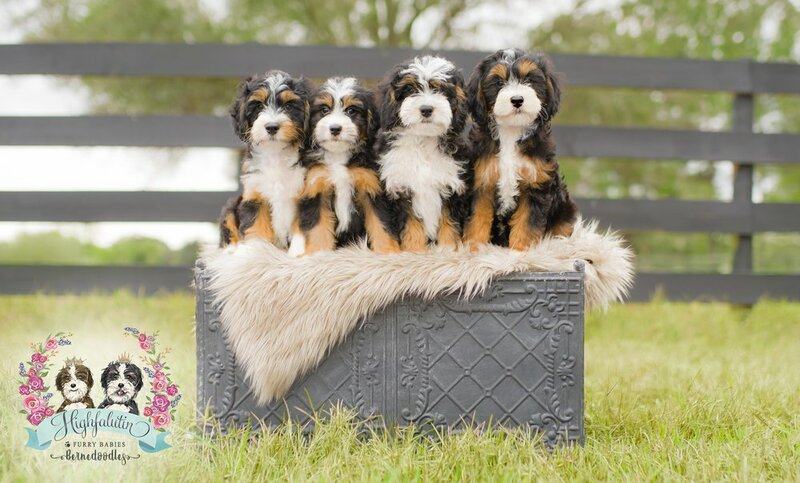 Because we only breed Berndoodles we are able to focus all of our knowledge and expertise on perfecting this magnificent breed. 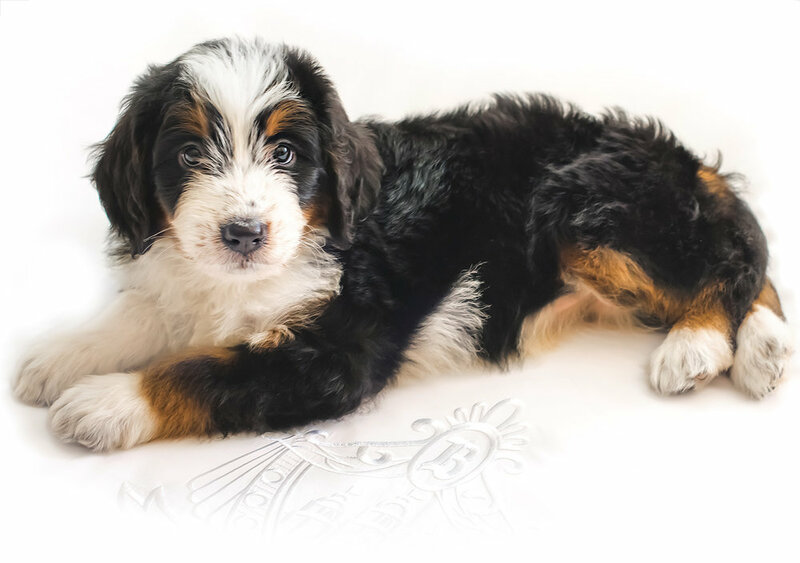 We can provide the perfect Bernedoodle for your family no matter what your needs are. We can provide any size from Standard to Micro. We breed F1 Bernedoodles for that classic Bernedoodle look. 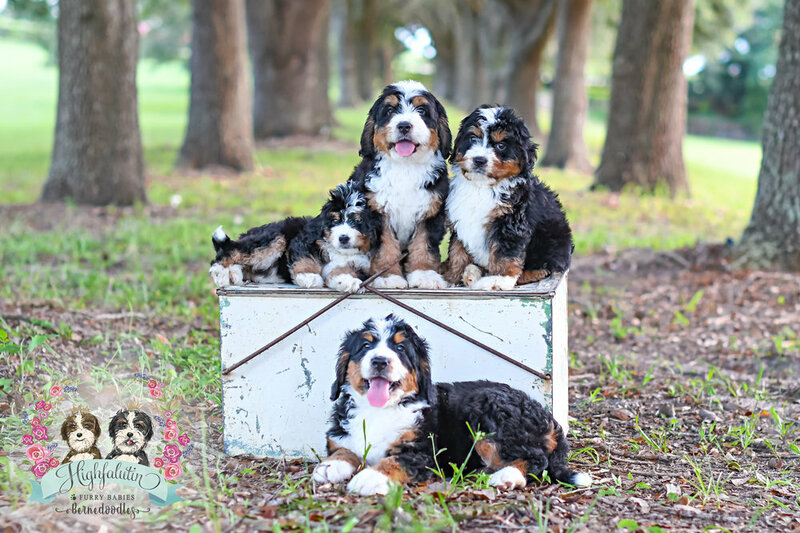 For those of you with allergies we also breed F1B bernedoodles which are hypoallergenic. 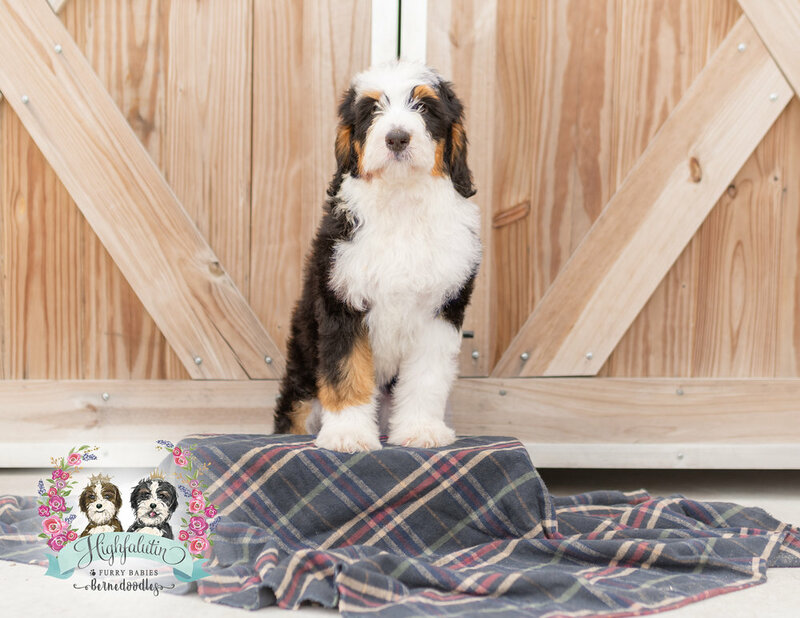 For the perfect look with a soft fleecy coat we also breed Teddybear Bernedoodles. 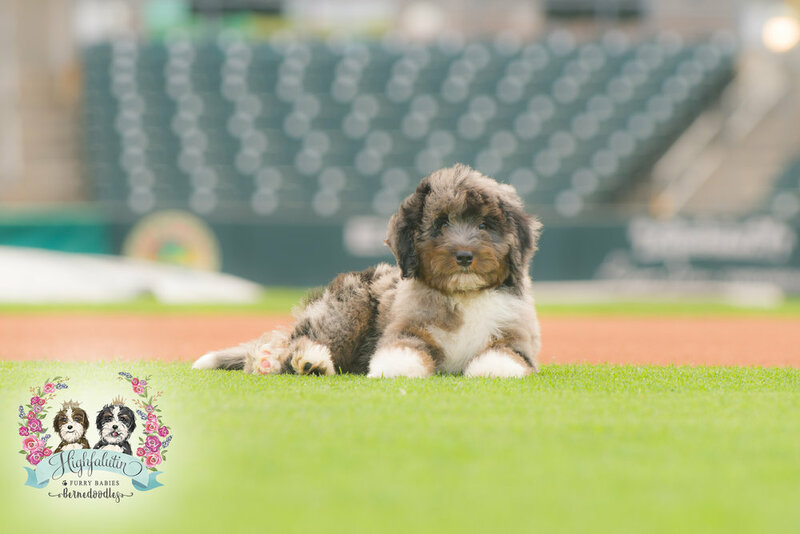 We believe in giving back to the community, which is why one puppy out of each litter is donated to a family who is in desperate need of a service or therapy dog. 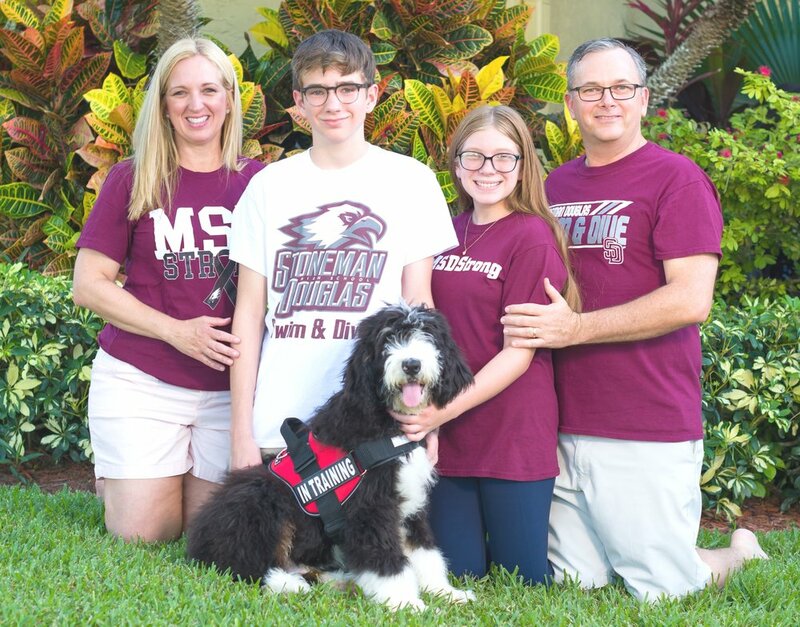 We have donated to children with disabilities, injured veterans, 9-11 survivors and many other people who were in need of service or therapy dogs. 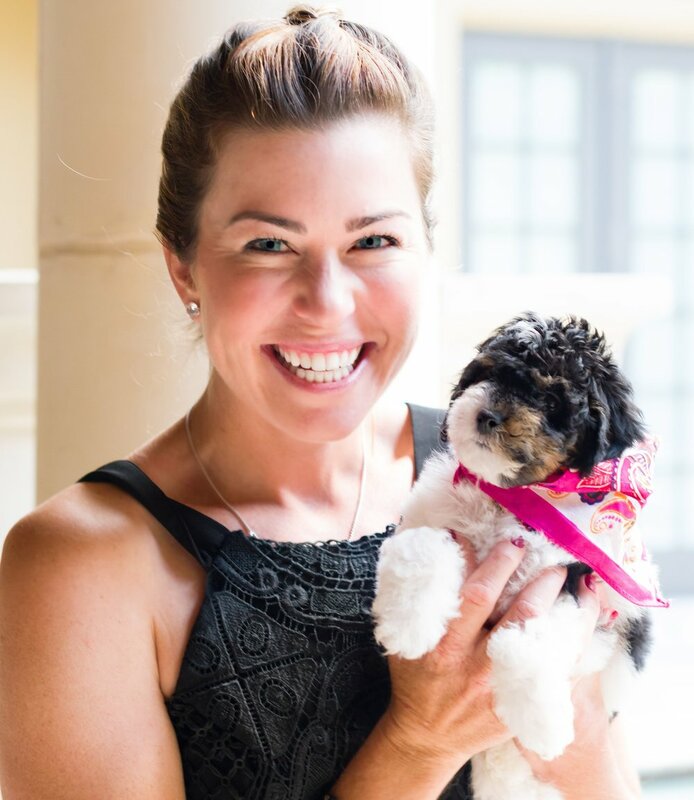 We also believe that a puppy’s health and wellbeing is of the foremost priority, which is why we hand deliver your puppy to you anywhere in the world. We will never ever ship a puppy in cargo. Highfalutin furry babies was started by my daughter Lexie when she was just 8 years old. Lexie was born profoundly deaf and has seen first hand the struggle that families have to go through to get a puppy that is health tested and trained to become an assistance dog. The wait lists and financial stakes are so high! 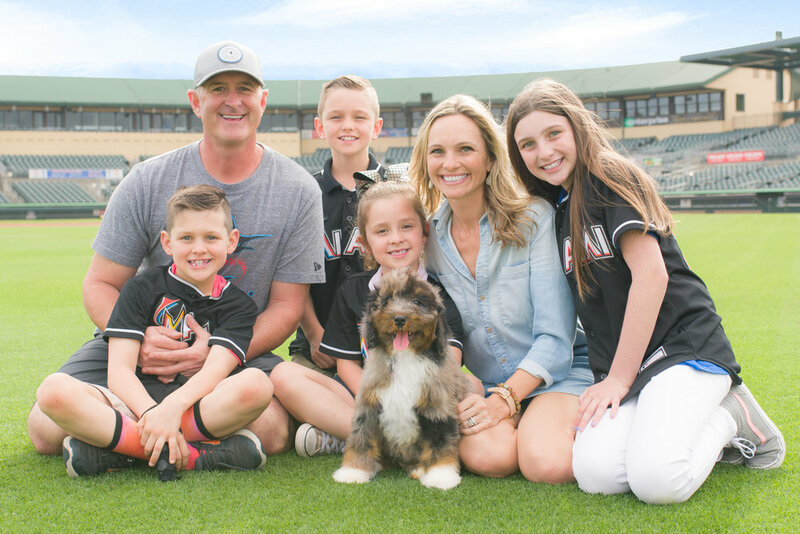 Knowing all of this, Lexie decided that our family could breed happy, healthy, beautiful puppies and give them to children and families in need. We now donate one puppy from each litter to a family who desperately needs one. We recently took "hand delivery" of Rocket in Hollywood California. He was 12 weeks old when Alicia and her two lovely daughters, Emme and Lexie, brought him in their arms all the way from Florida. When we got the call we we're next in line for a puppy I was extatic! Looking at pics from previous litters was enough to make our head spin and hearts pound in anticipation of getting our own dog. 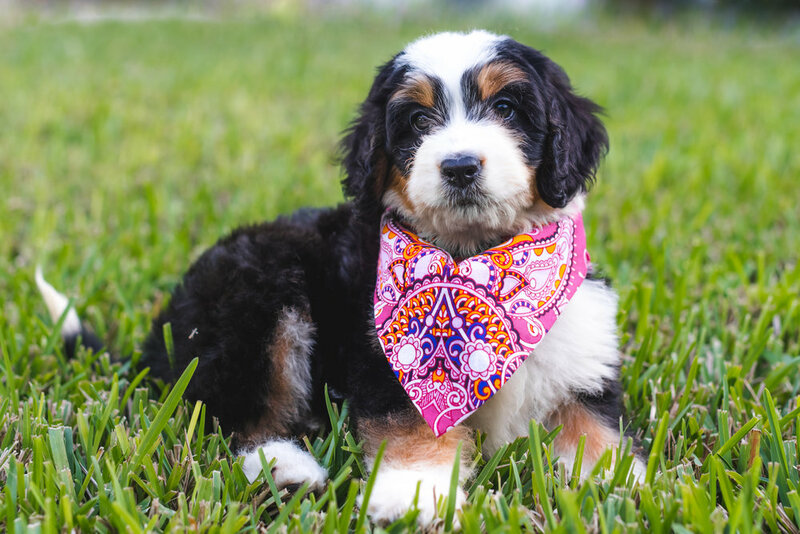 Rocket is a Tri-Color Bernedoodle who's so spectacular that not a single person has ever been able to pass without some adoring puppy comment, or kneeling for a quick pet and closer look. His good looks are only dwarfed by his sweet demeanor and curious puppy personality. My four and six year old girls are head over heals for him, almost as much as he is for them. Rocket is fantastic with kids and instantly fit in with our family! HFB is so much more than a breeder, they are purveyors of some of the finest examples of this unique mix you'll find anywhere. 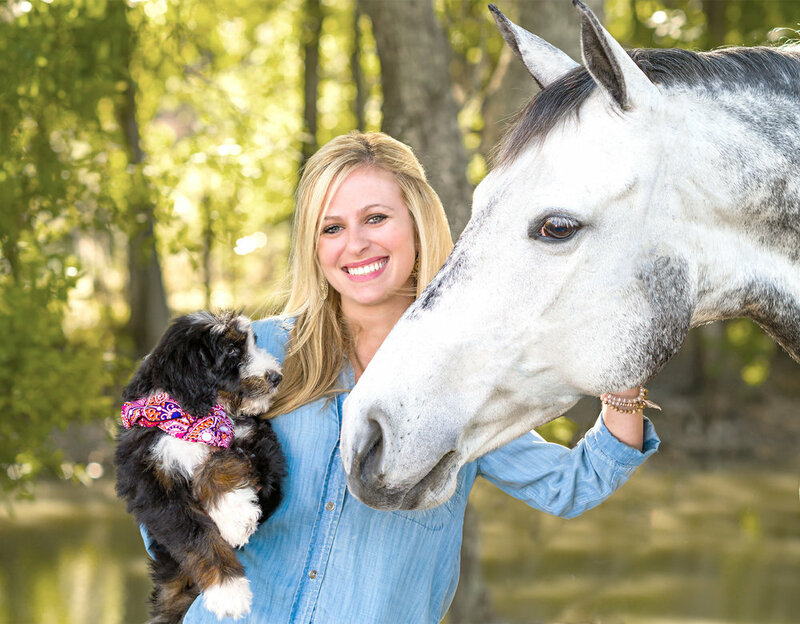 Alicia's knowledge of bloodlines, breed genetics, and behavioral characteristics, coupled with her years of experience allow here offer only the best of the best. If you met Rocket, you'd agree. I wish my daughters were delivered with as detailed of an instruction manual as Rocket came with! Our, "Dog Bible" came with so much helpful information that raising our dog to have a long healthy life will be easy. All the previous health check-ups we listed, all prior shots were listed along with serum batch numbers. As if that wasn't enough, Alicia is always available to answer questions. 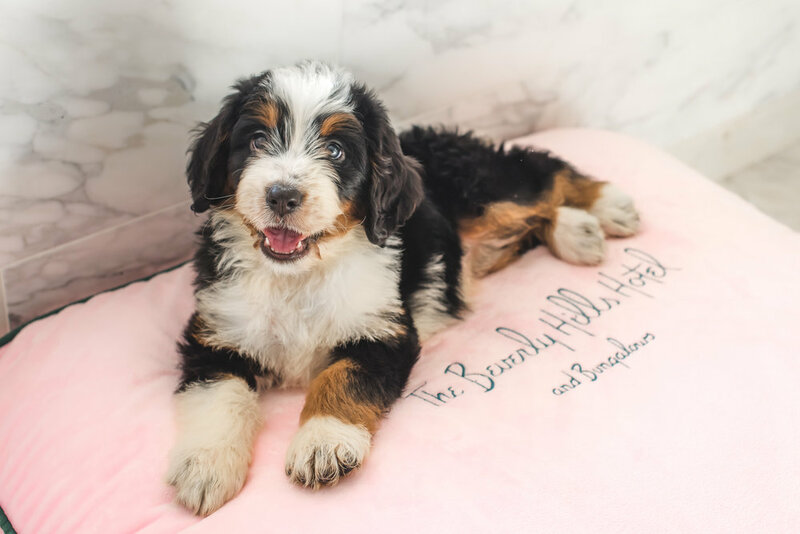 If you're looking for a Bernedoodle, this is the place.